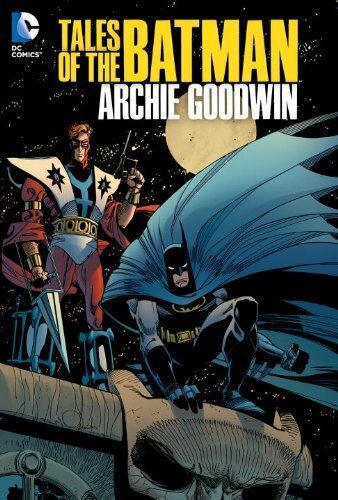 ANDY’S PICK :: TALES OF BATMAN: ARCHIE GOODWIN HARDCOVER: You’re probably familiar with the award winning Batman/Manhunter story serialized in Detective Comics 437-443 from 1974 written by Archie Goodwin and illustrated by then newcomer Walt Simonson. It is justifiably famous and considered a classic. Now DC is offering a very affordable (40 bucks for almost 500 pages!) collection of Archie Goodwin penned Batman tales that includes the complete Manhunter saga along with the equally famous Batman: Night Cries GN with gorgeous art by Scott Hampton, Detective Annual #3 with art by Dan Jurgens, 2 short stories from Batman in Black and White with art by Jose Munoz and Gary Gianni and Siege–the story Goodwin left unfinished at the time of his death (and completed by James Robinson) with art by Marshall Rogers from Legends of the Dark Knight #132-136. Goodwin was one of the best writers from the pre- British Invasion mainstream. This is an ideal showcase of Goodwin’s formidable talents. MATT’S PICK :: ALIEN ILLUSTRATED STORY TP: Ohmanohmanohman! What an AWESOME week the comic shops have in store for us fan-boys AND girls! Its not every week we get hit with TWO Frederator Studio comic books. 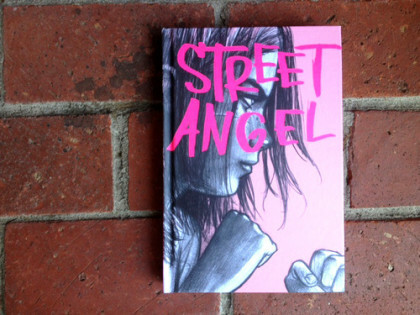 Boom Studios produces the finest all-ages books on the shelves. (The Mouse should have maintained his relationship with them.) The Adventure Time: Fiona and Cake mini-series is produced by the the same people who came up with the concept for the original F&C episode. Excellent reading. The other title, Bravest Warriors adds a lot of depth to this web-based Frederator cartoon. You can enjoy the comic or cartoon on their own, or get the full effect by enjoying them in tandem! The two books I mentioned above are nice and all, but I had to save this week’s best title for last. Sorry if I’m hoggin’ the bloggin’ – I did say it was an AWESOME week! 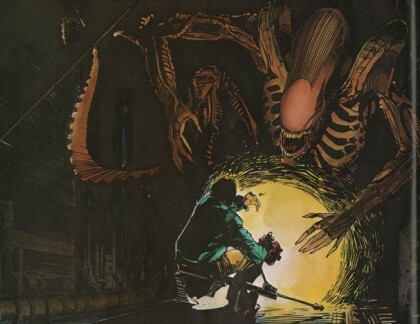 Anyway, you need to buy yourself a copy of Alien: Illustrated Story TP Facsimile Edition. Don’t even think twice. There is no excuse for any self-respecting comic book fan missing this book in their collection. Alien is the type of film that has near-universal appeal to comic book and sci-fi fans. Archie Goodwin and Walt Simonson deliver the goods. Walt restored the artwork and added extra art to this edition. I’ll be the guy at the register clutching his copy tighter than a face-hugger! SETH’S PICK :: ROCKETEER: HOLLYWOOD HORROR #1: Whenever I talk or write about IDW’s new Rocketeer stories, I like to mention my opinion that any artists who work on the character pale in comparison with its creator, Dave Stevens. No one will ever make Rocketeer stories better than Stevens. 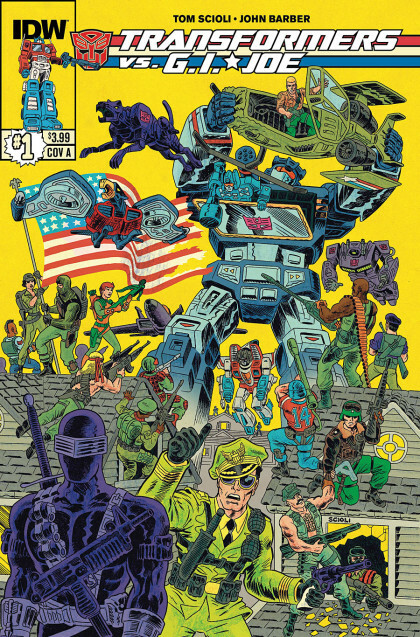 However, I usually follow up that statement with this one: I love the way IDW has created new stories that both revere and uphold Stevens’ legacy. Their two volumes of Rocketeer Adventures read like a love letter to Stevens’ creation, and the Mark Waid/Chris Samnee miniseries Cargo of Doom fell right in line with the tradition. This week IDW offers up an all new miniseries by Roger Langridge and J. Bone, along with Walt Simonson on covers. Langridge, while known for humor and all ages work, has always had a strong connection with comics’ adventure roots. Look no further than his excellent John Carter of Mars adaptation for evidence. J. Bone has done lots of work with Darwyn Cooke, and also provided the covers for DC’s Super Friends title. 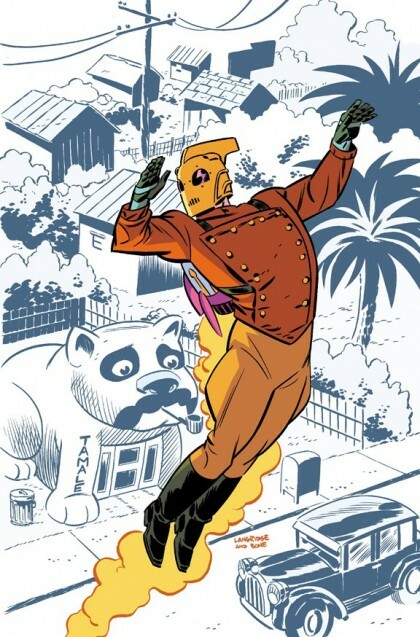 If you take his previous comics into consideration, it’s easy to see how well he could bring the Rocketeer’s era to life. Even though I’ll always love Dave Stevens’ work best, it would be a shame if we were denied new stories of his famous creation. Thankfully, IDW knows how much people care about Rocketeer, and hires creators who equally value the man and his work. Let’s hope they will continue to produce quality comics that not only pay homage to Stevens, but allow future generations to be exposed to his genius.